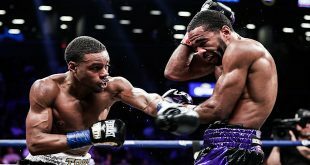 Ex-world title challenger Eric Harding schooled Daniel Judah tonight in Uncasville, Connecticut to take the vacant NABF Light Heavyweight title via unanimous decision. The rusty Judah, older brother of unified world welterweight champion Zab Judah, had not been in the ring for the past year and was unable to solve the evasive style of the lanky Philadelphia born Harding. 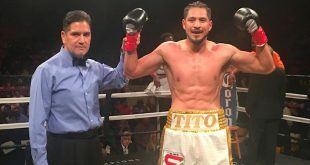 The newly minted NABF titlist has now won his second straight contest after dropping back to back confrontations with future world titlists Antonio Tarver and Glen Johnson. Harding improves to 23-3-1 (7) and advances a step closer to regaining another opportunity to achieve genuine world honors. 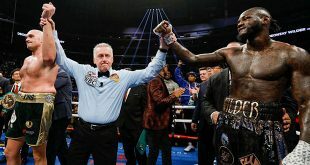 On the undercard of the Final Forum promoted bill, heavyweight Derrick Rossy pounded out an eight round points victory over David Polk and light heavy Daniel Sackey beat fellow prospect Ehinomen Ehikhamenor in a six round decision.